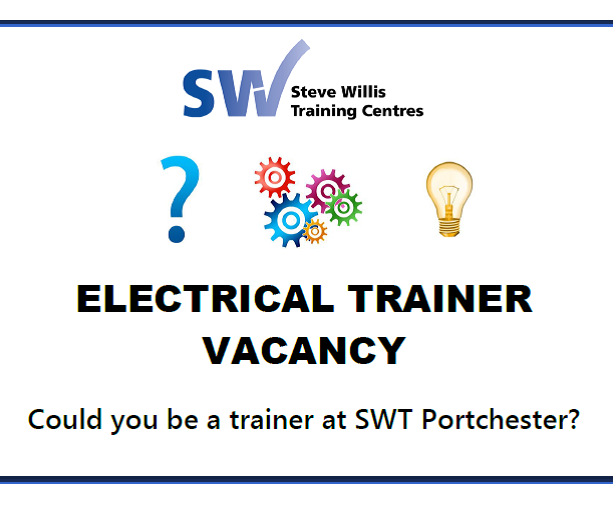 Due to further growth in our apprenticeships provision we are looking to employ another electrotechnical trainer at our Portchester training centre. Are you a current electrical trainer who wants a fresh challenge? Or maybe you’re a qualified level 3 Electrician looking to enter the training world? Join Steve Willis Training and you would be passing on your expertise and enthusiasm to our electricians of the future at our first class training facility just outside Portsmouth. Interested? Have a look at the job description to find out more, and then get in touch with our Electrical Curriculum Leader Brian Jennings.